There are many reasons that companies invest in technology to help you manage your digital assets more effectively. From increasing control over authorised files, to ensuring consistency across marketing campaigns, rolling out DAM software can save time, effort and money. However, with so many digital asset management cloud software vendors on the market, how do you know which solution is right for your organisation? To help you define what to look for in a new asset management platform, here are some top tips taken from our brand new buyer's guide to DAM software. Many companies make the mistake of thinking that a solution like SharePoint or Dropbox will do the same job as DAM software. However, a market-leading DAM software solution is much more sophisticated than these types of software - in both enabling your users to locate the right files quickly, and giving them the capacity to customise those assets. Always take a long-term view when investing in software, to ensure you're not going to be held back by the limitations of your digital asset platform. This is one of the big questions to ask yourself before choosing new DAM software: will a cloud or on-premise solution work better for your organisation? There are advantages to both, however many companies are attracted to cloud solutions because they do not require in-house IT knowledge to set-up, run or manage. Our buyer's guide contains an in-depth look at the cloud versus on-premise debate; download your copy for further detail. It always pays to check how your chosen technology has been built. Some companies operate a proprietary software model, where they have ownership of the software and can therefore restrict its development. Instead of proprietary software, often organisations prefer to opt for an open source software solution, which allows developers to enhance and add new functionality much more freely, for the benefit of the industry. While there are a wide range of DAM software providers on the market, not all will have experience in your particular sector. To ensure a solution that is truly mapped to your needs, it is usually advisable to work with a technology partner that has proven experience in your sector. They will have first-hand experience of the digital asset management challenges companies like yours are facing, and will already be developing techniques with their current client base to solve them quickly and effectively. Choosing the right DAM software is only the start. To get the most from your investment, you need to work with a partner that can ensure easy set-up and training, and can offer assistance where needed to keep the solution running at maximum capacity. Make sure you ask your vendor shortlist about their onboarding process and support capabilities, so you feel confident that your final choice will deliver ongoing value. 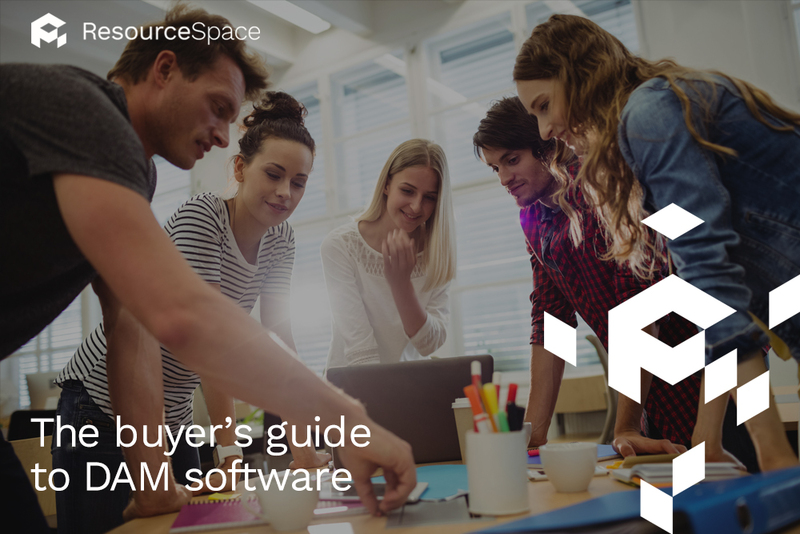 For more questions to ask a potential technology partner, download our full buyer's guide to choosing DAM software. If you're ready to get started with the right DAM software solution, talk to ResourceSpace about how our cutting-edge platform can enhance the way your company manages digital assets.